Peabody Access Telecommunications is a local cable access television station serving Peabody Massachusetts. 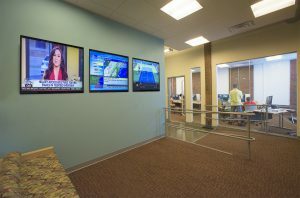 The station provides community access, educational programming, local government reporting, after school education programs, adult media training, and screening of local video and film. 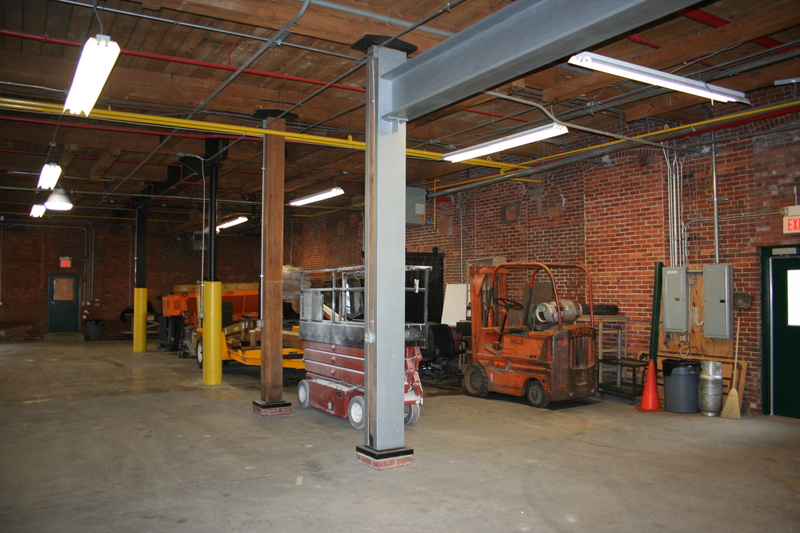 This project is a 3,500 SF expansion of the existing facility on lower level of a 19th century mill building located in downtown Peabody. The program included a “Hot Set” studio, a media classroom, a large work room/conference room, a multi-purpose screening room/ collaborative work area, and support spaces including handicap toilets, a handicap accessible kitchenette, a handicap accessible entry, and a garage for the mobile truck. The space was conceived as a flexible collaborative workspace. The Design incorporated overhead doors, glass partition walls, and full light glass doors to achieve maximum transparency and communication. 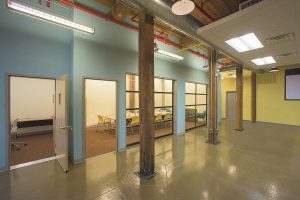 The rooms can be used for small group instruction or the overhead doors can be opened, and the space can be reconfigured as a large contiguous work area for group projects. This project included a full fit out of mechanical, electrical, plumbing and fire protection systems. Architectural finishes and costs were carefully monitored, benchmarked to an initial schematic design cost estimate, reconciled on the schedule of values and tracked through construction.